Some decisions are automatic. If the Ranchers are a pack, then the Rancher® AT is the leader. And it’s easy to see why, as it offers a combination of features rarely seen on dirt. 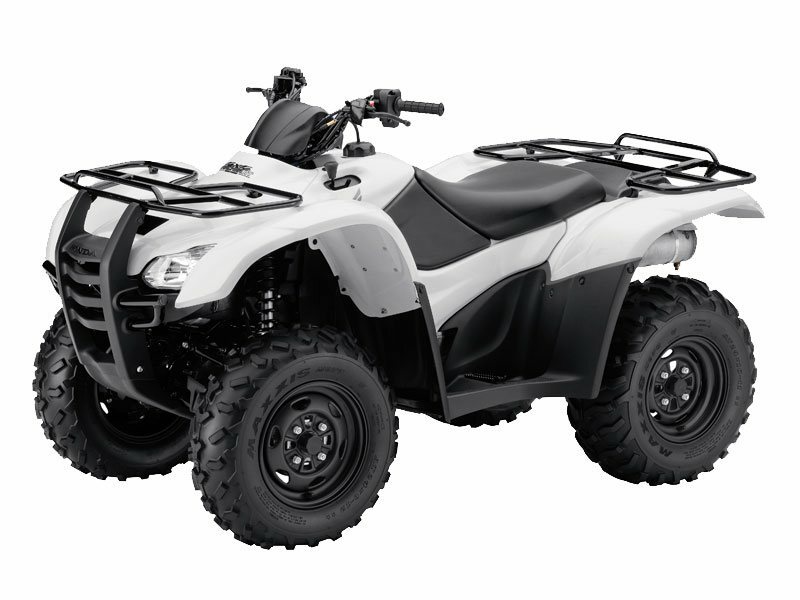 For starters, the Rancher AT is powered by the same bulletproof 420 cc liquid-cooled engine that its sibling Ranchers have. And from there, we’ve added a plush Independent Rear Suspension (IRS) system. Programmed Fuel Injection (PGM-FI). Electric Power Steering (EPS). Honda’s TraxLok® 2WD / 4WD system. Add our legendary reliability to this already-long list of features, and it’s no wonder why the Rancher AT has become such a popular part of the Rancher family. Recommended for riders 16 years of age and older. Honda recommends that all ATV riders take a training course and read their owner’s manual thoroughly. Honda’s Electric Power Steering (EPS) is both speed and torque sensitive. This means you get the right amount of assist when you need it most – like in rough terrain. And for 2014 we’ve made it better by fine-tuning the power assist settings even further for improved steering character as well as improving how the EPS mounts in the chassis for better overall strength and rigidity. The Rancher AT's double-wishbone, Independent Rear Suspension (IRS) allows each wheel to travel independently from the other over uneven terrain, helping maintain optimal tire contact. Add 6.3" of wheel travel to this formula, and what you have is arguably the most responsive handling, highest ride quality and best traction of any ATV in its class.